Yarn dreads and braids can be connected into your own hair as hair extensions. They are both lighter and cheaper than real hair extensions and you can make them yourself. 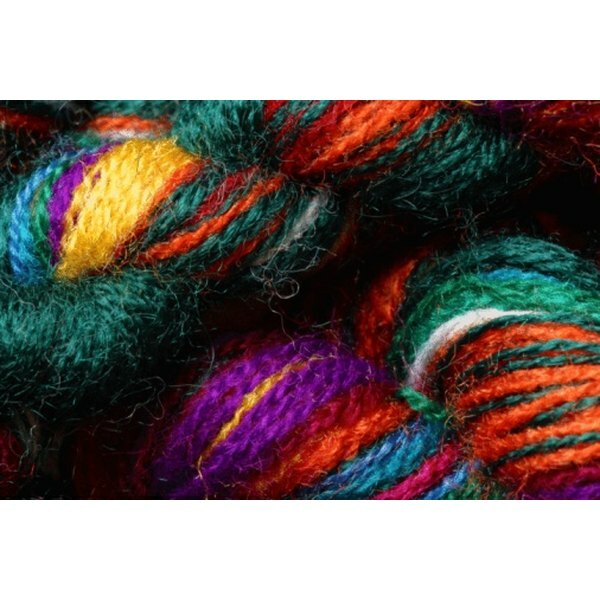 Any kind of yarn can be used for yarn braids in any variety of colors. However, you have to use unshaped roves in order to create yarn dreadlocks. An unshaped rove is a piece of raw, unspun wool yarn that you roll into shape. The unshaped roves can be dyed so you can add color after you make them. Select at least three pieces of yarn and cut them to equal lengths. Tie the top of the pieces of yarn together into a knot. Braid the pieces of yarn together. To braid the yarn, hold three equal pieces of yarn in your hands, but keep them separated. Fold the piece of yarn on the right over the middle piece of yarn so the right piece is now in the middle. Fold the left piece of yarn over the middle piece so it is in between the two other pieces. Keep folding the yarn pieces, from the right to the left, over the middle piece of yarn until the braid is about 1 inch from the bottom of the yarn. Tie another 2-inch piece of yarn around the bottom to hold the braids. Cut the unshaped roves into equal lengths. Make the lengths 2 to 3 inches shorter than you want because they will grow longer when they are dreaded. Fill a bowl with hot water and 2 tsp. of wool soap. Dip a single rove into the soap to get it wet. Remove the tip of the rove and rub it between the palms of your hands to create a tapered end. Pull the rove slowly out of the water and tease it up and down its length with your fingers. Roll the teased yarn between your hands to create a cylindrical shape. Lay the dread on a towel and roll it out to help dry it off and complete the cylindrical shape of the dread. 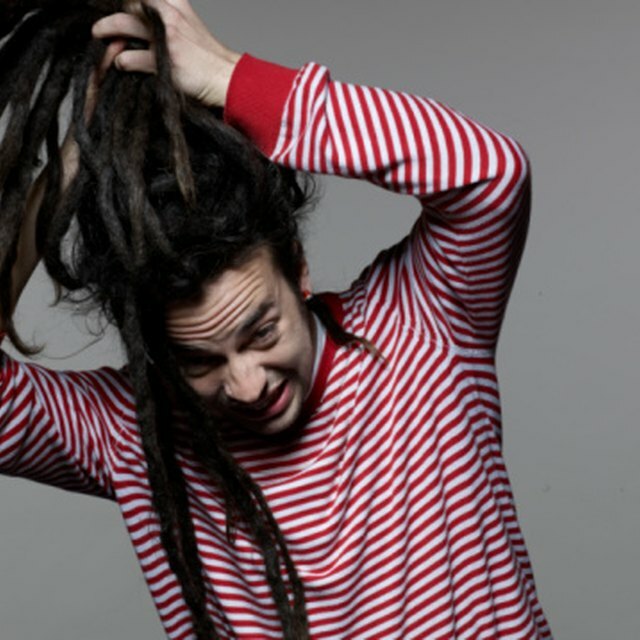 Repeat Steps 1 to 4 on each rove to create as many dreads as you want.